Our neighbour, a lady in her sixties, an ardent Christian from Kerala, India, called on us a few weeks back. The subject of organ donation and its importance cropped up during the discussion. Marina my wife and I were supporting the need for organ donations and said that we have signed up for organ donation with Health-Canada and the same is reflected on our Health-Cards. The lady being a strong Christian put forth the case that as Christians, we need to be prepared for the second coming of Christ, when all will be judged, the still living and the resurrected dead. She stressed the need for being prepared, both spiritually and physically for the day. For the God to resurrect, one need to be buried with all the body parts in tact she said. I put forth the argument that God created Adam from the dust and in case the God is all too willing to resurrect me, he can do the same. The importance of organ donation is well known to all. This act by one person can save the lives of as many as eight other people – and make a difference in the lives of many more. As per Statistics Canada, the data for 2012 showed that over 4,500 people were waiting for organ transplants, 2,124 organs transplanted and 256 people on those wait-lists died before receiving transplants. Unfortunately, only a fraction of Canadians are registered to donate. If you decide to become an organ and tissue donor, discuss it with your family and friends as they are always asked before donation happens, so it is important that they know your wishes. The first successful living donor transplant was a kidney transplant performed in Boston in 1954 between 23-year-old identical twins. Anyone can be considered as a potential donor. Age is less important than the health of your organs and tissues, a kidney, part of the liver, and a lobe of the lung. The only need is that you must be old enough to give consent and must be in good health. Organ donation is not only lifesaving but life giving. 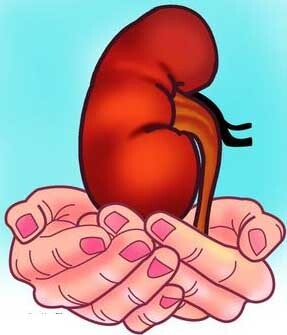 As an example, a kidney transplant will prolong the recipient’s life and vastly improve the quality of that life. Suddenly, someone who was tied to a dialysis machine has the freedom to travel, the energy to do what they want and the desire to again live life fully. It is a difficult decision to be an organ donor, especially taking into consideration many myths surrounding the act. Many find it difficult to perceive about the state of one’s body after death. Always remember that being an organ donor is a generous and worthwhile decision that will always save a life or two. Most common myth is that the hospital staff will not strive as hard to save one’s life in case they come to know that the patient is an organ donor. Social media, movies and rumours, all have played their role in ensuring the veracity of this myth. The focus of any doctor would be to save the patient’s life and is mostly unaware about the patient’s organ donation status. As per a Canadian study, physicians are nearly 50 percent more likely than non-physicians to register as an organ donor. Another myth is that in case of an organ donor, there is a haste in signing death certificate to facilitate organ harvesting. Although it is a popular topic in the tabloids, it has rarely ever happened. Most hospitals carry out more tests to determine that the donor is truly dead prior to removing any organ. Religious myths and beliefs stand in the way of organ donations. Organ donation is consistent with the beliefs of most major religions like Hinduism, Christianity, Islam, Sikhism etc. In case one is uncomfortable with one’s faith’s position on donation, it would be prudent to discuss it with the clergy. The Hindu philosophy supports organ donation to a great extent and there are many references to support the concept of organ donation in Hindu scriptures. Daan, meaning selfless giving, is one among the ten Niyam (rules) laid down by Hinduism. Bhagavad Gita chapter 2:22 says ‘As a person puts on new garments, giving up the old ones; the soul similarly accepts new material bodies giving up the old and useless ones.’ Here the mortal body and the immortal soul is described as in the relationship between clothes and a human being. Pope Francis has called for more people to donate their organs and the Pope said that the clergy needs to explain that donating organs is a gesture of love and each of us, for example, has two kidneys, and giving one of them to a relative or a person we love is a beautiful gesture. There is a case of religious unity from Kottayam, Kerala, India, where Father Sebastian, a 41-year-old Catholic priest, in May 2013, donated one of his kidneys to Rasad Mohammed, a 30 year old Muslim. Father Sebastian said that he was inspired by the story of Father Davis Chiramel, who had donated one of his kidneys to a Hindu. He motivates everyone for organ donation by saying that in keeping with his Catholic beliefs, there is nothing more than giving one’s life to someone and God has given the opportunity to give a part of the life to a person so that he gets a new lease of life. There is a myth that an open-casket funeral is not possible for people who have donated organs or tissues. The donor’s body is clothed for burial prior to being placed in the casket and hence there are no visible signs of organ or tissue donation. For bone donation, a rod is inserted where bone is removed and for skin donation, a very thin layer of skin is taken from the donor’s back. Because the donor is clothed and lying on their back in the casket, no one can make out any difference. Another myth is that the organs of older people are not accepted. No one is too old for donating organs. The decision to use the organs is based on strict medical criteria, not age. Only a very few medical conditions automatically disqualify one from donating organs. It may turn out that certain organs are not suitable for transplantation, but other organs and tissues may be fine. Allow the doctors decide at your time of death whether your organs and tissues are suitable for transplantation. There is a myth that the rich and famous are given priority when it comes to allocating organs. It may appear so because of the amount of publicity generated when celebrities receive a transplant, but they are treated no differently from anyone else in Canada. In case of donors under age 18, there is a need for parental consent. Children are also in need of organ transplants, and they usually need organs smaller than those an adult can provide. Based on the above facts, being an organ donor will make a huge difference, and not just to one person. By donating your organs after your death, you can save or improve as many as 50 lives. Many families say that knowing their loved one helped save other lives helped them cope with their loss. Educative, Reji …. Nice one. Quite informative & encouraging a noble cause. Hi Reji very well explained. I will add here. We all were born and will also die the similar way. In between we have man made road blocks which defies logic. Hence does not bother me. It is the person’s heart which impresses me. Me and my wife’s eyes are donated. Now reading your article me & my wife are motivated to donate all our body parts. I am working on this noble cause. JANGALI ka brain kon lega? Bye and take care. Many in India are suspicious that in case of an organ donation commitment,the greedy doctors and hospital staff will pull out whatever organs are possible and sell to the highest bidder. Kidney Lelo Kidney ….. Taaza Kidney …..Trust deficit is the problem. Excellent post. Recently I saw a TV programme on Asianet where a doctor explained that in India most organ transplant is possible only in the case of brain death, due to accident or otherwise. If I understood right, eyes are an exception. In case of normal death, he explained that most organs are good only for research. Donating organs such as kidneys, during our life time is altogether a different matter. Thought provoking and motivating post. Well done Reji. It’s a good read uncle. I’m an organ donor too.